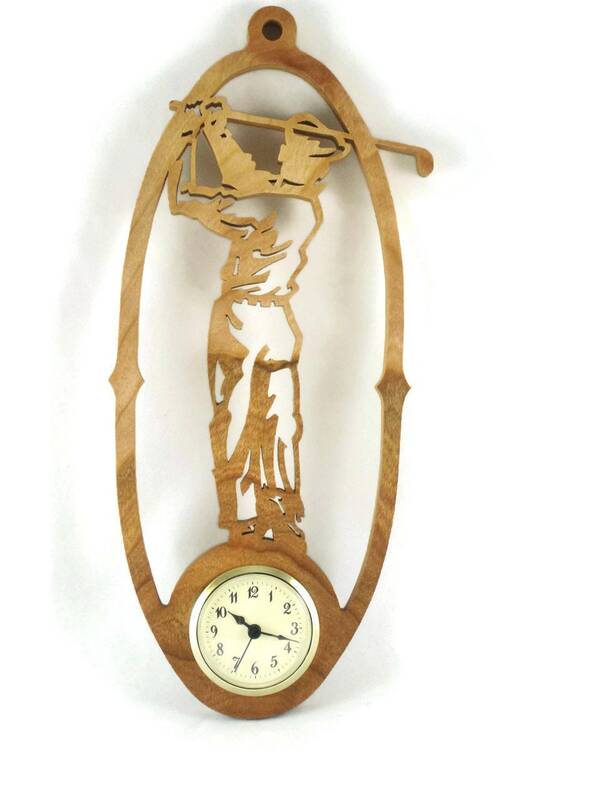 If you or someone you know like sports, especially golf or golfing then this golf wall hanging clock is the perfect gift to gift yourself or a friend. 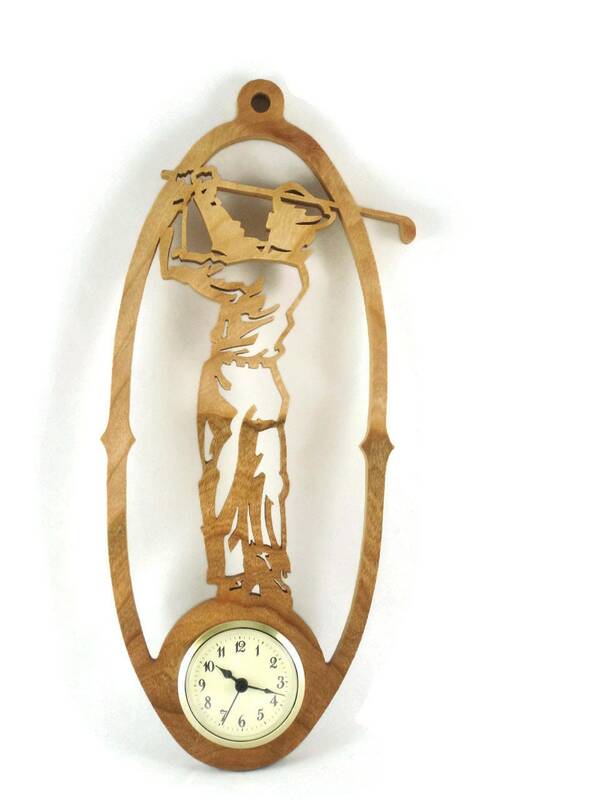 This golfing clock was handmade from 3/4 inch cherry wood using a scroll saw. 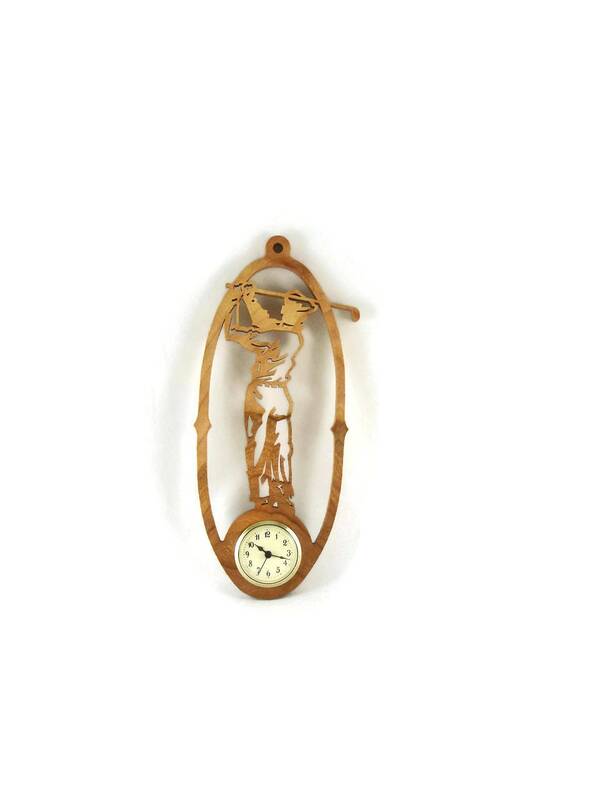 This clock features a golfer swinging a golf club, a loop is cut out of the top for hanging this on the wall. 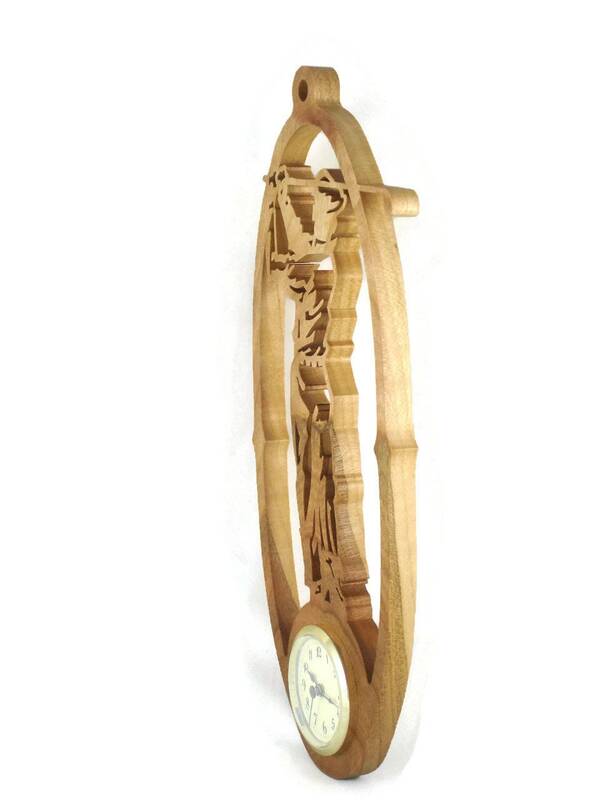 Down near the bottom features the 2-1/8 inch diameter clock insert. A non-toxic all natural bees wax and mineral oil finish was applied to this to bring out the natural beauty of the wood as well as to protect its natural beauty for many years of enjoyment. 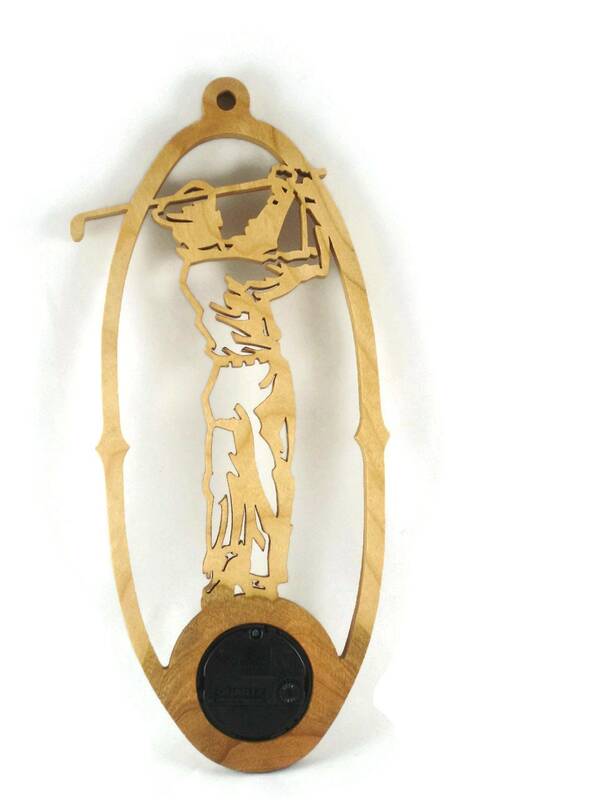 Want this made from a different type of wood? Message me for details.